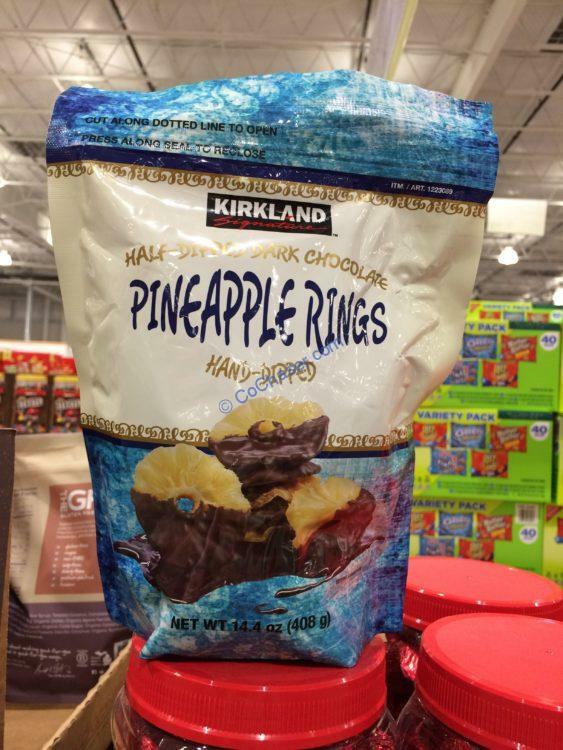 This Kirkland Signature DK Choc Pineapple Ring is hand-dipped with half-dipped dark chocolate. It is a rich chocolate with favorite taste. Enjoy delightfully delicious snacks. Per serving size 1.48 oz (42g), contains 165 calories. For each serving, you get 4g total fat, 2g from Saturated fat, 2g protein, 2g fiber and 25g sugars.